Jeremy and Merit, two young fishermen from Cornwall, England, are pressed into service aboard a Royal Navy frigate. In 1814 they are stationed in Kingston, a frontier town rife with inns and taverns, including the infamous watering hole, “Violin, Bottle, and Glass”. The Last Stoic is a story of appetite and fear, modern and ancient. Half of the story’s narrative occurs in the ancient Roman Empire; the other half occurs in the present-day United States, alternating from chapter to chapter. "Live Bottle & Glass through the streets and pubs of Kingston, drinking along with the characters - experience history like never before." Giveaway ends November 13, 2017. I’m pleased to have a preview and excerpt of Bottle and Glass included! 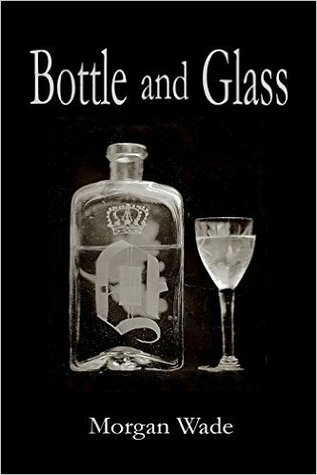 For a limited time the Bottle and Glass e-book is only .99 on Kobo. According to Godwin’s Law, the probability of “Hitler” being deployed in any online discussion approaches 1 the longer it continues. There is a reason why this law holds and that is because the Second World War is the cataclysm that is closest to our own generation. Many of us have grandparents that fought, and struggled, and died in that conflict. The memory of it is still fresh in our collective consciousness and we dread a repetition of it (at least, we ought to). For some, it is the worst thing we can imagine, and Hitler the worst person, and so he is inevitably employed as a rhetorical weapon. 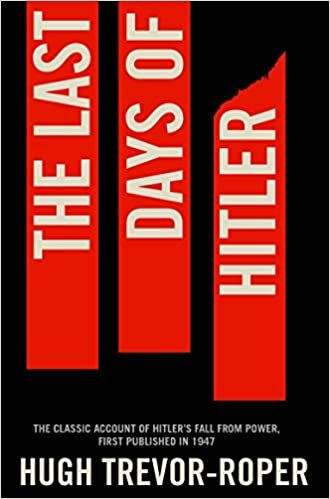 The original purpose of the inquiry which caused this book to be written was to establish the facts of Hitler’s end, and thereby to prevent the growth of a myth; and certainly Hitler’s own exploitation of mythology in politics has been sufficiently disastrous for the world to apprehend a repetition. The facts are now clear, and if myths, like the truth, depend on evidence, we are safe. But myths are not like truths; they are the triumph of credulity over evidence. The form of a myth is indeed externally conditioned by facts; there is a minimum of evidence with which it must comply, if it is to live; but once lip-service has been paid to that undeniable minimum, the human mind is free to indulge its infinite capacity for self-deception. When we consider upon what ludicrous evidence the most preposterous beliefs have been easily, and by millions, entertained, we may well hesitate before pronouncing anything incredible. Gradually success bred confidence; the propaganda of Goebbels, the sycophancy of Keitel, nourished the self-delusions of unchallenged power; no mind, no fact was allowed to contest the dogmas of strategic genius; and at the end, how different had the conference table become! Hitler was still there, still the central figure, still the ultimate authority; but a Chinese wall separated him from the outer world of reality. He listened not to other voices, but to echoes of his own; for none of the surviving courtiers dared speak, or even know the truth. Skeptics and republicans, be ever vigilant.